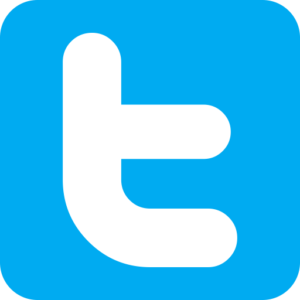 Read real examples of problem solving and meeting customer needs. 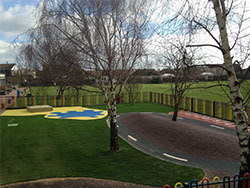 To install safety surfacing to the clients chosen design supplied by the appointed Play Providers. 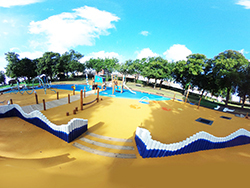 The design incorporates many colours, graphics and mounds to create a striking large scale adventure play park. 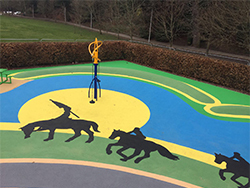 The design received input from local primary school children. 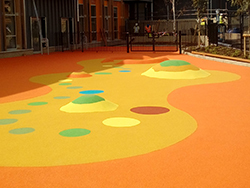 Wetpour was the only choice of safety surfacing able to bring the architects design to life. The use of bright colours and an undulating design helped bring interest to the flat area. Mounds were incorporating into the design and we in keeping with the colour graphics. 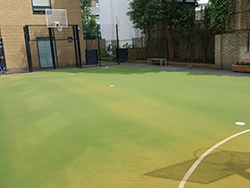 We have professional teams installing high quality surfacing throughout the UK. Find out more today. View our range of high quality environmentally friendly surfaces. 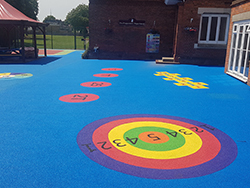 Check out our surfacing works across the UK, we are always installing new projects so take a look for surfacing inspiration!